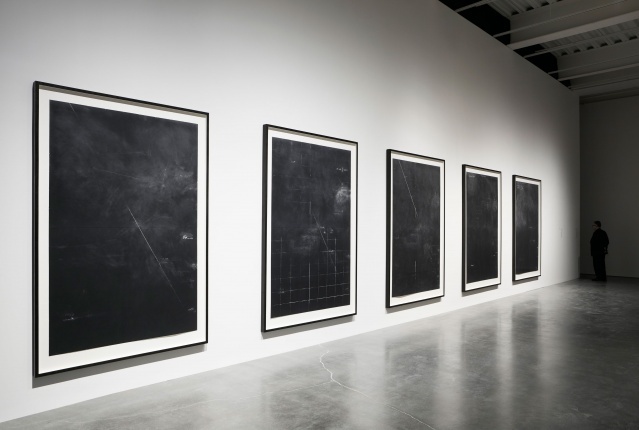 The New Museum presents an exhibition of works by British artist Tacita Dean—the most substantial presentation of the artist’s work in New York to date. The presentation focuses on a group of recent pieces that capture five important American artists and thinkers of the last fifty years and features Merce Cunningham, Leo Steinberg, Julie Mehretu, Claes Oldenburg, and Cy Twombly. These works are beautifully crafted portraits of each individual, opening a lens onto their artistic processes and personal memories. 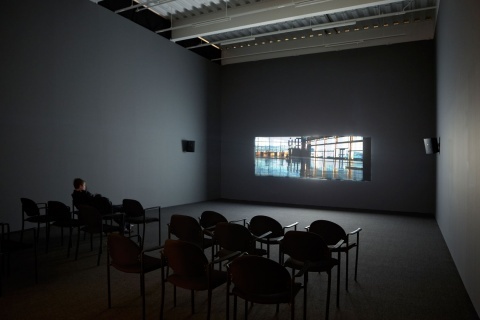 This installation, organized in close collaboration with Dean, provides insight into the way in which her filmmaking intersects with painting, sculpture, writing, and dance. This exhibition is part of a series of focus shows concentrating on a single project or body of work within an artist’s larger practice which began last May with presentations by Apichatpong Weerasethakul and Gustav Metzger. Portraiture has been a consistent theme for Dean since the beginning of her career. Individuals like artists Robert Smithson and Mario Merz, as well as the doomed explorer Donald Crowhurst, feature in her work as sympathetic figures who share an interest in isolating time and pursuing the impossible. More recently, she has turned her lens onto a group of visual artists whose work initially has little in common with her own. These filmic portraits forgo a biographical narrative of their subjects and instead link each artist to the physicality of their production and the subtle mechanics of their thinking. In Manhattan Mouse Museum (2011), Dean captures the artist Claes Oldenburg in his studio as he gently handles and dusts the small objects that line his bookshelves. The film is less about the artist’s iconography than the embedded intellectual process that allows him to transform everyday objects into remarkable sculptural forms. 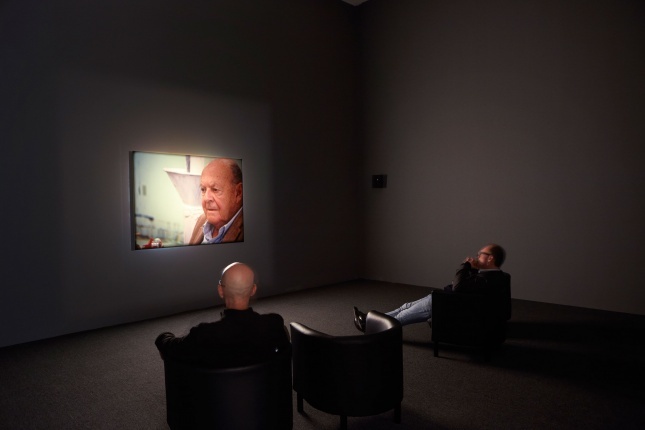 Edwin Parker (2011) is a portrait for the seminal late painter Cy Twombly. The film, which takes its title from Twombly’s given name, captures the artist as he ruminates on a series of his sober sculptures in his Lexington, Virginia, storefront studio. In Craneway Event (2009), Dean films members of the Merce Cunningham dance company as they rehearse an anthology of the choreographer’s work in an unused factory overlooking the San Francisco Bay—all carefully and magically guided by the hand of Cunningham. GDGDA (2011) is an intimate look at Dean’s peer, the painter Julie Mehretu, as she completes a spectacular, mural-sized work. 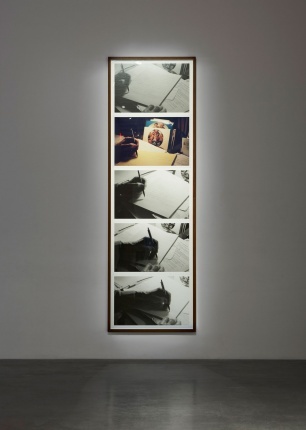 In her photographic series Line of Fate (2011), Dean follows the hand of art historian Leo Steinberg as he writes quietly in his Manhattan apartment. In each work, Dean uses an economy of means to capture the ineffable creativity and emotion that drives these five remarkable figures. The pieces themselves are fitting and poetic homages to these individuals and their unique ability to capture and shape the way we see and feel the world around us. Tacita Dean was born in 1965 in Canterbury, Kent, UK, and currently lives and works in Berlin. She studied at Falmouth School of Art and the Slade School of Fine Art. She has had solo exhibitions at Tate Britain, London (2001), Museum für Gegenwartskunst, Basel (2000), MACBA, Barcelona (2001), and the Solomon R. Guggenheim Museum, New York (2006). 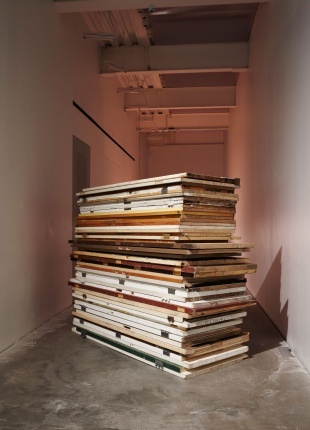 Recent survey exhibitions of her work include “Analogue” organized by the Schaulager, Basel, in 2006, and “Still Life” organized by the Nicola Trussardi Foundation, Milan, in 2009. Dean’s most recent work FILM (2011) was conceived for the Unilever Series, the Tate Modern’s series of commissions for its Turbine Hall. Her work is in the collections of the Museum of Modern Art, New York, the Solomon R. Guggenheim Museum, New York, and the Tate Modern, London. Dean was nominated for the Turner Prize in 1998 and was the winner of the Hugo Boss Prize in 2006. “Tacita Dean: Five Americans” is curated by Massimiliano Gioni, Associate Director and Director of Exhibitions, and Margot Norton, Curatorial Associate. 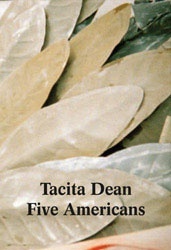 “Tacita Dean: Five Americans” is made possible by the generosity of the Leadership Council of the New Museum. Support for the accompanying publication is provided by the J. McSweeney and G. Mills Publications Fund at the New Museum.